It is easy for one to solve puzzles of the kind that goes "Black to play and mate in three moves." This sort of presentation artificially aids the learner in finding the solution. Not only that the solver is hinted which side wins, but he is told as well that it can be done in three moves. Knowing the number of moves it takes to mate is a key clue which aids the brain generate possible solutions in the solving process. And knowing which side has the edge eliminates an important learning opportunity to find the obvious and discern the nuances of the given position. This skill ought to be developed among improvers as an essential aspect of learning tactics. Just being able to find solutions to tactical problems does not equate to tactical understanding. The very reason the learner is doing the tactical exercise is to sharpen a tactical vision but he currently does not possess. The mainstream approach to tactical learning, in my estimation is partially flawed because it tends to develop only the skill of finding tactical solutions, but not more. The skill with the most practical value during a chess game is the one that helps players recognize that a tactical opportunity exists on the board. This other skill is duly ignored by mainstream writers. An improving player needs to master foremost how to spot a tactical opportunity and only then should he learn how to work out the tactical solutions. This writer places a strong delineation between these two skills. Given a typical position with equal material, oftener than not, the learner does not know which side is winning. This lack of knowing is more pronounced in unbalanced positions. This is so because the learner lacks a formalized system of spotting tactical opportunities. As it is during an actual game, neither player receives a cue that a tactical opportunity has just materialized. Such a formalized system will be the subject of a series in this column. In the above diagram, Black had just played 10. ...Qc7, a blunder. My opponent who is a master responded with 11.Qb3, also a howler, which allowed me to continue with 11...Nc2,and won the game after a flurry of tactical shots. (See game at the end of this article.) White instead could have played 11.Nb5 and Black could not take the bishop on c4 because of 12.Nd6+ forking king and queen, winning on the spot. Somehow, forks involving knights are hard to see especially in time scrambles. But one trick I now employ with success is to do a quick check if any of my major pieces will be on the same color square as the enemy knight. Adjoining pieces sitting on the same color squares are vulnerable to knight forks. A most current example from the Reykjavik Open 2008 is a round 5-game between Greek GM Stelios Halkias (2580) and the reigning world Junior Champion, Egyptian GM Ahmed Adly (2551), which ended in a draw. 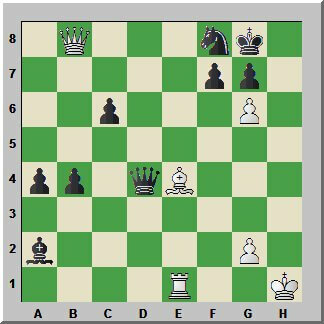 In the diagram below, White had just played 40.g6, and Black could have won at once with 40…f5. If the bishop moves, Black’s queen will fork rook and king with a check on h4. It is my contention that learners or improvers to benefit from any tactical training must be shown how the tactical opportunity came about in the first place. So, including the opening moves is helpful as it gives learners chess knowledge that a certain tactical opportunity can arise from a certain opening with a certain pawn structure. The tactical skill must be learned only this way for the learner to beneficially accrue practical gains in this area of chess knowledge. IM John Watson is one author I know for sure who advocates learning tactics by also showing the learner how the tactical situation came to be. The learner can then play towards the tactical situation or choose moves in the opening or middle game that will give rise to the tactical motif. But this does not argue that the learner need not know basic tactical motifs by name. But most learners already know what a double attack or a skewer or a pin looks like. In one of my few lectures, I did exercises where I showed students puzzles, but with lacking in specifics. Some students would try to solve the puzzle from the viewpoint of the losing side, of course, not knowing who possesses the tactical opportunity. Some students could not recognize the opening from which the pawn structure arose. One must be reminded that a chess game entails the playing of the opening and sometimes the middle game before these opportunities present on the board. If chess begins with a static position plus a hint as to who is winning, and the number of moves it takes to deliver the winning blow, then the mainstream approach of learning tactics will make sense. This, however, simply becomes a puzzle solving contest. In can be argued that the way we learn tactics is influenced in some way by economics. The traditional book is constrained by production costs in packaging its presentation of chess knowledge. In the interest of cost saving, it must present the puzzle to the solver at the point where the tactical sequence begins. This particular way of learning tactics benefits most the advanced players since they already possess the knowledge with regards to the source opening by simply noting the pawn structure. The tactical motif or picture becomes a knowledge entity where it is saved in the brain under a meaningful category for easy recall for over the board use. This is why advanced players will intuitively choose moves that channel the game to a recognized position where one or a number of tactical motifs fit. For example, the well-known Greek sacrifice on h7 by a bishop is usually something an experienced player will intuitively recognize as effective if there is a pawn on e5 controlling f6 and d6. 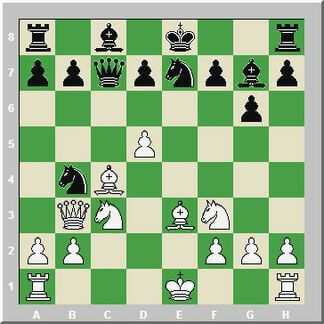 Another example would be some recognition that an advanced f-pawn will allow the rook lift to g3 or h3. When the position warrants this conduct of an attack, one must then avoid moving the g- or h-pawn as it will only impede the transfer of the rook to either file. Another example is the motif where there is a pawn on g6 and the white player sacrifices a rook on h8 to be followed by a queen check on the h-file which can result in a mate on h7 assuming of course that the f8-square is occupied, and the h-file is open. This is where eBooks come in. EverymanChess.com is pioneering in this delivery method of chess knowledge. But an eBook covering tactics is still in dearth supply. With eBooks, the writer has the luxury of introducing the puzzle by allowing the reader to replay the game from the opening since space is no longer an economic constraint. As with chess books, space equals costs. And more costs means less profit. With the possibility that eBooks offer, I propose that it is time for us to reconsider novel but effective ways of learning tactics. In my proposed approach, the reader also learns how the conditions for a tactical blow came about. These things do not just appear in thin air. Master players of the game in practice would laboriously maneuver their pieces to arrive into their respective striking points for which a tactical combination is possible. Just knowing the markers on the path will help us tremendously in getting there. I hear amateurs lament to this effect when playing over grandmaster games, “If I can just get to this position, I will beat this grandmaster too.” Does it sound familiar? We hear ourselves say this all the time in the sound of a wish. And if only we can get ourselves to this “White to move and win in 5” positions, our brain can be easily primed and prodded to look for the winning tactical finish. Only then can we outplay a master player and proudly share kinship with one. Next article, we will consider a proven method I call the Hortillosa-Purdy system in spotting these tactical opportunities. The same system can be used to limit or minimize tactical blunders in our games.